Why does not cross-referencing of end nodes work with `enotez` and `cleveref`? It does not seem that cref works with enotez. The output refers to the chapter number rather than the number of the end note. Not the answer you're looking for? Browse other questions tagged hyperref cross-referencing cleveref endnotes enotez or ask your own question. 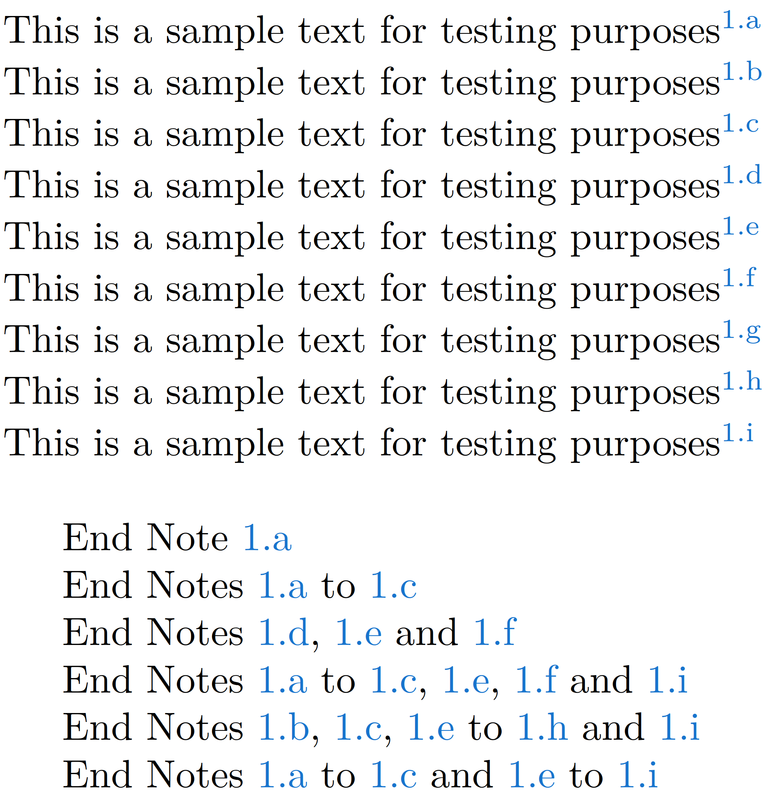 Why does not cross-referencing of exercises work with `exsheets`? 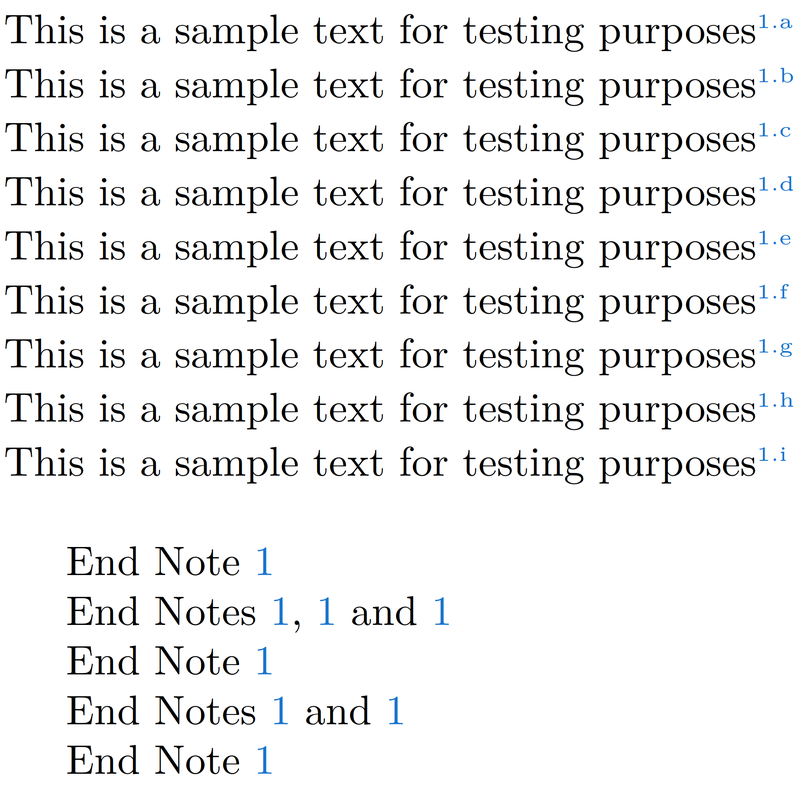 How to get the same appearance of an end note in endnotes and in enotez?